The easy way to print ballots. Guide election workers step by step with proven Election Decision Support. Save paper. 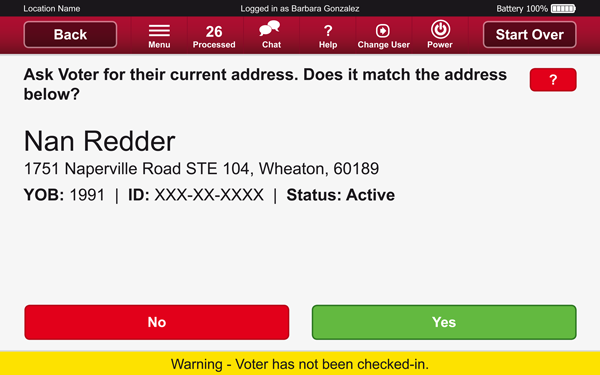 Check in voters quickly, confirm ballot assignments and update voter history. AskED On Demand Ballot Printing is configurable to your specific procedures and laws to ensure accuracy. See what is happening at your voting locations and make improvements with AskED's central Command Center. No matter a voter's situation, AskED® On Demand Ballot Printing will guide the election worker on how to correctly process that individual. There is nothing the election worker needs to memorize. All the election worker has to do is read from the screen. The AskED On Demand Ballot Printing software is designed with the non-technical election worker in mind. AskED On Demand Ballot Printing utilizes easy to purchase hardware that is commercially available on the powerful Windows 10 Operating System. Tailored to how your election department works and not the other way around. Each screen in AskED On Demand Ballot Printing is configurable to your specific laws. Determine voter eligibility steps, so election workers process voters correctly and consistently. Work the way that suits you best. As laws, rules, and processes change, so can your solution. Take vote centers to the next level with AskED On Demand Ballot Printing. Combining multiple precincts and allowing voters to choose their voting location has never been easier. AskED On Demand Ballot Printing allows voters to cast a ballot at any location within the county, regardless of where they live. AskED On Demand Ballot Printing supports same-day voter registration. AskED On Demand Ballot Printing tells the election worker exactly what to do based on your jurisdiction's laws for a voter registering the same day as the election. AskED On Demand Ballot Printing utilizes the powerful Windows Operating System. With AskED On Demand Ballot Printing you can activate voter access cards automatically with card activators and VC Programmer. You don't have to manually type in numbers or remember the ballot style when you want to activate a voter access card. Stop wasting ballots and reduce the chance of a voter getting the wrong ballot. AskED On Demand Ballot Printing is efficient. Print ballots quickly on the spot. AskED On Demand Ballot Printing prints pre-approved, formatted ballots on-demand via locked PDF files as provided by the jurisdiction. AskED On Demand Ballot Printing makes device deployment, maintenance and support easy. Your election workers will love it. No other system makes an election worker's job easier. Step-by-step instructions guide the election worker through the check-in process. AskED On Demand Ballot Printing integrates all state and local regulations into the election worker screens. Clear ‘Yes’ and ‘No’ responses to simple questions assure accurate and consistent voter check-in. Equip election workers to conduct efficient voter look-up. Voter status issues can be immediately addressed and resolved at the voting site. AskED On Demand Ballot Printing logic is prepared to address all types of voters that require additional assistance or direction: voters who have moved, first-time voters and absentee voters. 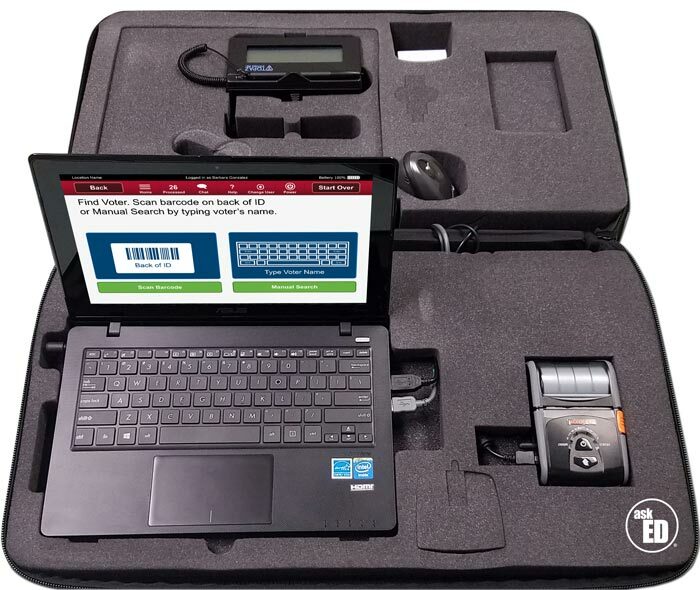 The AskED Ballot On Demand System's patent-pending Election Decision Support™ system guides election staff through simple “yes” or “no” questions to determine voters’ eligibility, including the correct ballot style. Opinions and guesswork are removed from the voting sites, reducing errors and minimizing the need for time-consuming provisional ballots. 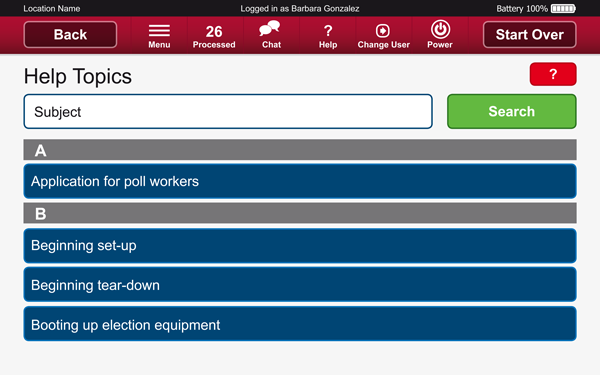 Built-in help topics and video tutorials are included with the AskED Ballot On Demand System based on your election worker training manuals and election equipment. 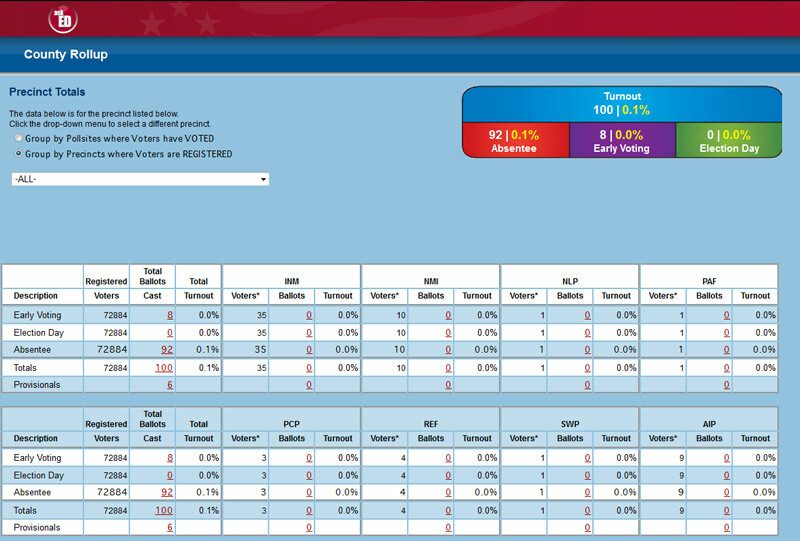 Train election workers in real-time with the tools you already have. It supplements in-class and online training. Robis Elections will assist each jurisdiction in any help topic or logic changes needed provided such requests are made 15 business days before an election-use of the product. Direct lost voters to the correct voting location with the AskED ePollbook. 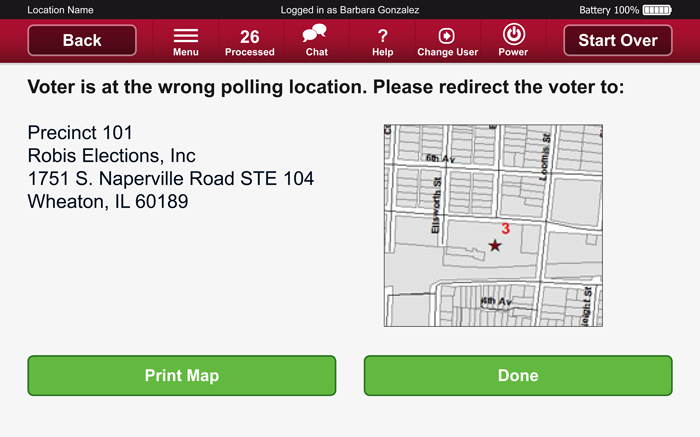 Built-in maps show the exact location and address of a voter's poll site. Do more with less and minimize hardware. 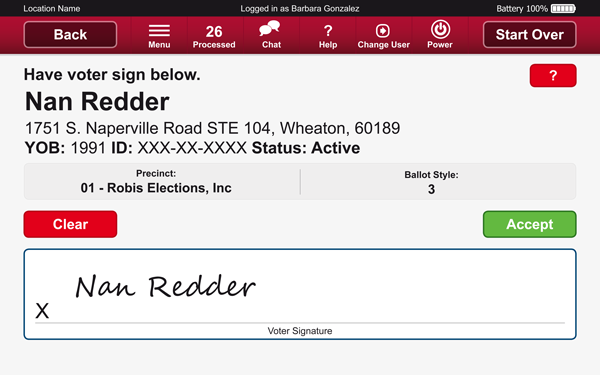 Capture voter's signatures on the AskED On Demand Ballot Printing screen without purchasing any additional hardware. Separate signature pads for voters to sign can easily be added as well. Scan a voter's drivers license, ID or barcode on the AskED On Demand Ballot Printing device without purchasing any additional hardware. 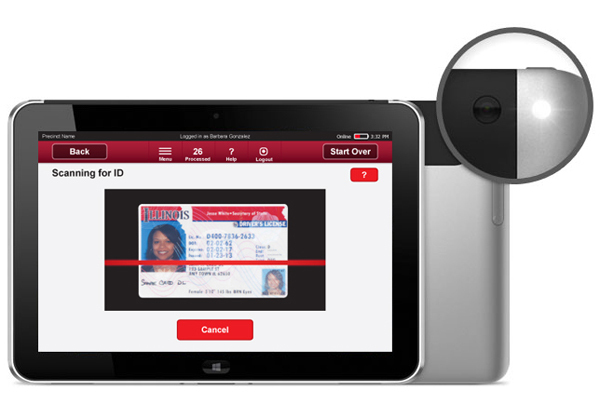 Separate barcode scanners are also available. AskED On Demand Ballot Printing does not require a connection to operate. 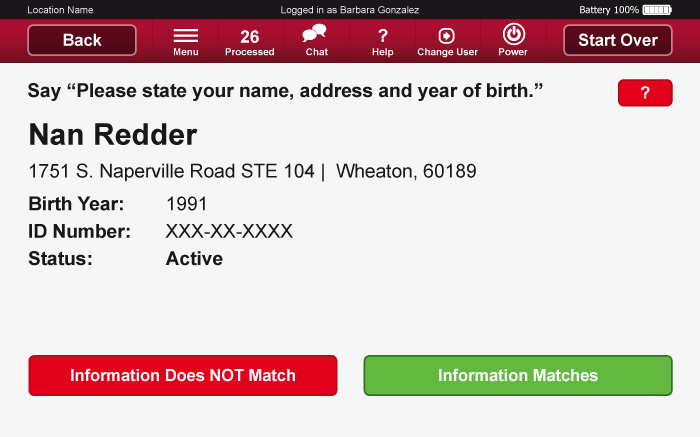 With connectivity voter information is up-to-date and enables immediate updates of voter history. AskED On Demand Ballot Printing may be securely connected to a secure central server via a WAN connection (such as an existing Internet connection, Verizon cards, etc.). SSL encryption is used to ensure that no devices may intercept this communication. A virtual private network (VPN) is used for added security. All voter history is stored in multiple locations on each AskED On Demand Ballot Printing device in addition to being on the central server. This eliminates the need for cables. AskED On Demand Ballot Printing may also be connected directly to each other within a location. This allows for any number of devices to be networked in a peer-to-peer fashion and does not require a server in the voting site. While this would not keep other voting centers up-to-date, it would ensure that all units within one voting site contain all voter history information for security and backup regardless of whether a WAN connection exists or not. Each county who purchases AskED On Demand Ballot Printing will receive a license of the AskED Server Software which can be used from our servers or from a county-provided SQL server. Once your county has selected voting locations, Robis Elections will visit each location to provide feedback on any connectivity, power or set-up issues that might affect the use of that voting site for Election Day. Be the first to know what is happening across your jurisdiction. Get immediate access to: voter turnout, provisional ballot counts, ballot styles voted, voters by location/party/style/time and more. Do more with On Demand Ballot Printing. The printers can handle automatic duplexing of 14” ballots and manual duplexing of 19” ballots. A full-duplexing 19” printer is optional. 1,000 sheets of ballot stock per unit are included and toner too. 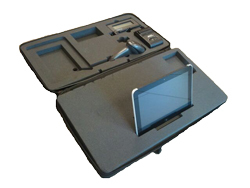 This all-in-one case holds all the poll book hardware, making set-up instant and protecting all the components during storage and transportation. What makes this case unique is that all items are already set-up and connected within the case. This makes set-up simple. Storage is also simplified as all items just stay in the case. Robis Elections will prepare each AskED On Demand Ballot Printing device with the software and the county’s data. We will deliver the units to each vote center prior to Election Day, and will set up the units for voting (usually the day before Election Day). After the Election, Robis will collect the units from each site. Robis Elections will work with you and your election equipment manufacturer to get data in an appropriate format. After the election, Robis Elections will support the county in exporting the data in a form to be imported/entered into the State Registration system (and/or printed for scanning). Robis Elections will provide unlimited technical support via phone, fax and email during Robis normal business hours prior to the Election. In addition, you will have 24/7 emergency telephone support. On Election Day, Robis Elections will provide support staff in each county to visit sites and handle any issues that might arise. Access to any new upgrades or updates that become available for AskED On Demand Ballot Printing or the AskED server software are included. Remote upgrading of server software is included where remote access is available. For units that are not remotely available, Robis Elections will provide software and installation instructions, or the jurisdiction may pay on-site rates to have Robis Elections perform the upgrades. AskED On Demand Ballot Printing has a proven track record for jurisdictions big and small. Election after election, you can depend on AskED On Demand Ballot Printing.